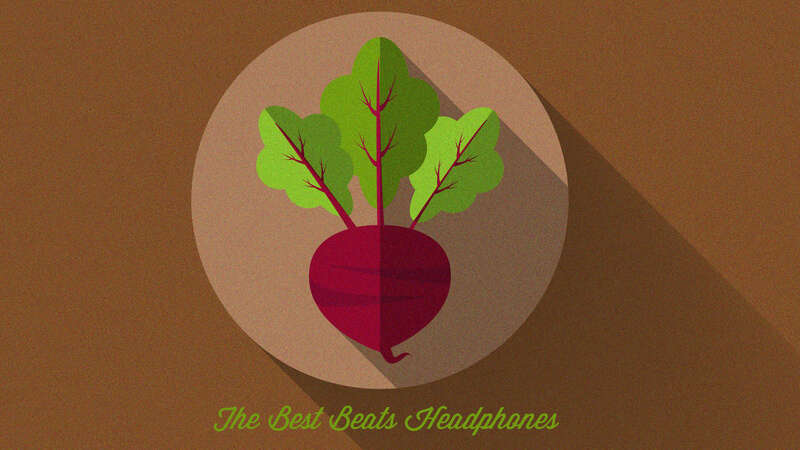 Before we get into the Best Beats Headphones, grab a snack, sit back and relax because.. In the past, I would have never even considered writing an article on any beats headphone, much less a dedicated article on the best. However, times have changed and these days the company under Apple has been making some quality releases which do deserve some love, even if the sound isn’t quite audiophile. What a snobby term, right? There are a few Beats offerings that I really like, and even included one of them in my article The best audiophile headphones. Learn more: V-Moda Crossfade M100 Review! The real reason I included them is because they just sound so darned good for what they are. It’s a bass heads affair, and they are super portable and include Bluetooth as well as being wireless with a wired option as well. What more could you ask for? Learn more: Beats Solo 3 Review! Beats used to be synonymous with poor quality, but because they have redeemed themselves, I decided to do a write up. The bad news? There’s still only a couple worth considering in the grand scheme of it. Because there are so many different Beats models, my goal is to narrow it down to a select few that are the most worthy of your dollar. A lot of guides out there tend to give you an exhaustive list with little else, and I find that it just ends up making my decision more difficult. It goes without saying that not all Beats headphones are created equal, and this short guide will weed out all of the bad apples and the so-so apples while only mentioning the crisp apples. I will also be keeping things relevant as I demo new Beats headphones. Keep checking back for updates! Audio Controls: Answer/End, Next/Previous Track, Play/Pause, Volume. The Solo 3’s are an impressive entry into the line, and perhaps the first truly worthy Beats headphone. The Solo 2’s were very similar, but overall I think the 3’s have an improved sound, however small it may be. What separates these from some of the early atrocities is that the bass isn’t overpowering like it used to be. I have no idea what Monster was thinking in the early years, but I suppose flowery marketing is to blame. Those models were laughable by any standard, and only functioned as a fashion statement. Add to that their horrendous build quality and awful comfort factor, and you had a true recipe for disaster. How they sold so many units is completely beyond me. Fortunately, these Solo 3’s are a complete overhaul, with an excellent build, good comfort level, and a bass head sound that doesn’t really get out of line. In fact, stacked up against an M50 you’ll likely notice little difference. Beats finally got the message it seems: More bass does not equal better. Actually, Apple took over. Monster would have never gotten the message and the whole Beats craze would have flamed out faster than the 96 Atlanta Braves in the World Series after being up 2 games to none. Say that 5 times fast. What we have now is a portable, compact, and Bluetooth ready headphone. This is definitely a headphone for on the go, and it performs admirably for such an occasion. Whereas before there was virtually no mid-range or treble detail to speak of, now we have some nice texture and clarity. I was surprised that the Solo 3 provides excellent detail for still being a bass oriented can. Overall, if I were to recommend one Beats headphone, this would probably be it. It’s really not even a question. Active Noise Cancelling: Yes. How do noise cancelling headphones work? This is the Beats headphone I would consider second if I were to recommend one. These are basically a Studio Wireless 2 with better noise cancellation and a slightly upgraded sound. Comfort is very good, build is solid, and the sound, like the Solo 3 kind of reminds me of a 50x or M100. It’s a bass oriented homie, but the sound isn’t intrusive or over-bearing. They fold in the same way as the Solo 3, and it’s also made of metal and feels very solid. Because these have twice the battery life of the original, they make for a pretty easy recommendation over all other studio versions. All in all, are these worthy of the Beats name? Sure. But are there better options? Absolutely. I would argue that the 50x, 40x, M100, and DT770 should all get priority over the Studio Wireless 3. Does it mean it’s a bad headphone? Not by any means. But is it overpriced? I would say so. You can get 2.5 hours of playback from a 10 minute charge. That’s it? Unfortunately yes friend. Besides these two, I wouldn’t really bother with any of the other Beats headphones. In fact, there are simply too many to even count, and most of them are bad to mediocre. The Solo 3 and Studio Wireless 3 are currently the best out of the bunch. Things may change later on down the road, but if you feel as though I left something out, or have a request, leave a comment down below or Contact me! I will do my best to keep this article relevant to the times. With that said ..
SEE THE BEATS STUDIO 3 WIRELESS FOR YOURSELF ON AMAZON!! Well that’s about it for today my friend! I hope you’ve enjoyed this AKG K240 studio headphones review! !